SPICE JETS were today delighted to welcome onto the ice, Steve Wicks and Fiona Ellis. 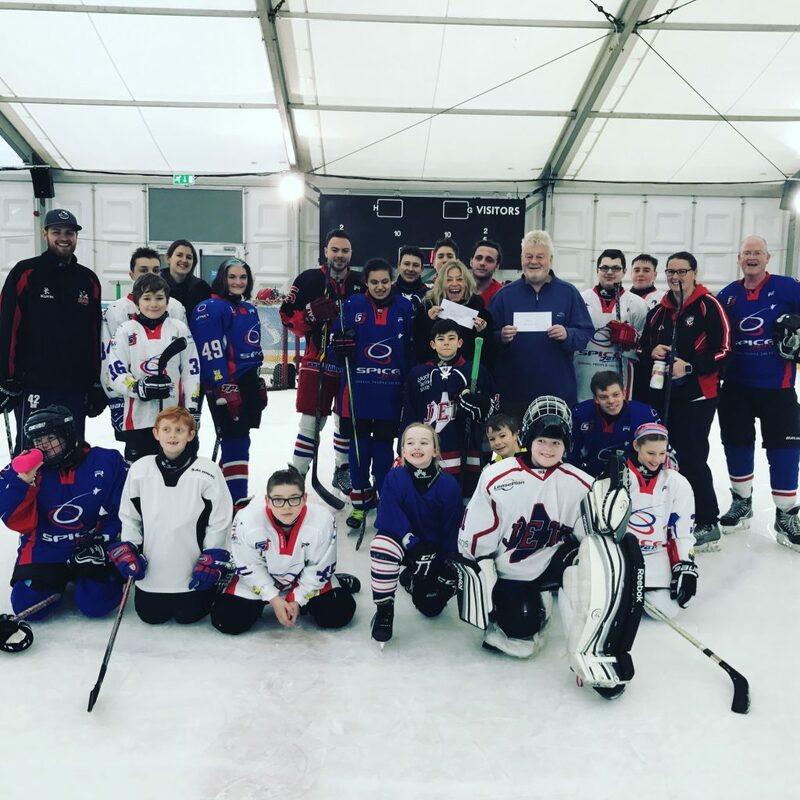 Longtime supporters of SPICE JETS, Steve Wicks, representing the Donal Wade fund and Fiona Ellis representing the Tony Ellis Family donated £3000 to support SPICE efforts to attend the Special Hockey tournament that takes place this month in Peterborough Canada. Members of the SPICE JETS hockey team welcomed Fiona Ellis and Steve Wicks on to the ice during their last training session before Canada. Previous Post: A Heart Warming Story! Next Post: SPICE and Fiona Mactaggart – we go way back!